A link to this video arrived in my email this morning. I am not sure that the direct confrontation achieves very much, but the speech by the former commander of the Kitsilano Coast Guard station is telling. 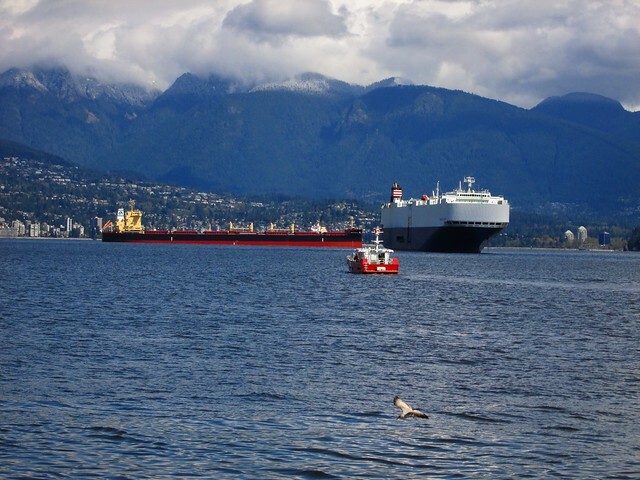 Just to nitpick a bit more, the Marathassa was not a “grain tanker” (whatever that is) and the spill was Bunker C fuel oil, not diluted bitumen which is the most likely export from the expansion of the Kinder Morgan pipeline. Dilbit sinks. There is also some doubt that 80% of the spill was recovered as there could well be oil residues that sank from the fuel spill – which is why fishing in the inlet has now been banned. « Time for BC Geothermal Energy? The smirks on Minister Moore’s and the local MP’s faces speak volumes.